Ashley is a seventeen-year-old high school Senior in New York; but unlike most girls her age, she's an extreme NASCAR fan and would rather spend her time at the racetrack than at the mall. Her responsibilities will include writing press releases, discussing how advanced education can help people get ahead in employment and writing a NASCAR article weekly on her blog, Ashley's Corner (http://www.collegecomplete.com/nascar/ashleys-corner). By working with this great company, I'm gaining valuable experience in content writing which I'll need to do in college and I'm learning why having a college education is so vital in this day and age. Ashley is a seventeen-year-old high school Senior in New York; but unlike most girls her age, she's an extreme NASCAR fan and would rather spend her time at the racetrack than at the mall. Her responsibilities will include writing press releases, discussing how advanced education can help people get ahead in employment and writing a NASCAR article weekly on her blog, Ashley's Corner. 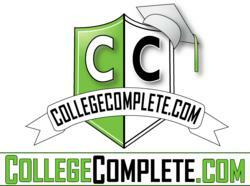 Ashley said, "I'm very happy to be working with CollegeComplete.com for the second year in a row! By working with this great company, I'm gaining valuable experience in content writing which I'll need to do in college and I'm learning why having a college education is so vital in this day and age with the unemployment rates as high as they are." Ashley has always been one for writing, loving the sense of freedom that a blank piece of paper and a pen provide, but when the words couldn't be written down, NASCAR was always there. After attending her first race at Dover International Speedway in 2005 at the age of ten, she has been hooked on going to any track she can. In June of 2010, she combined her love of NASCAR with that of writing and started her NASCAR-centered website, The NASCAR Corner (http://thenascarcorner.blogspot.com/), and it helped to open her eyes to another side of NASCAR - reporting. She tries to provide her readers with an interesting take on the sport of NASCAR by posting articles with a unique twist - a teenager's perspective. Via social media and her website, Ashley has had the privilege of meeting and interviewing drivers in all series, NASCAR television reporters, and NASCAR journalists. She feels very fortunate that she has met so many great people in the past three years. Currently, Ashley is in the process of applying for colleges, noting that her dream college is the University of North Carolina Charlotte. Less than a year from now, she hopes to be attending UNC Charlotte and majoring in Communications. During college, she would like to intern at a television station because her ultimate goal is to become a NASCAR Race Reporter, similar to Wendy Venturini and Krista Voda. You can follow Ashley's work on the College Complete website, her blog or on twitter: @NASCARChick_3, and "like" her page on Facebook: http://www.Facebook.com/AshleySchindler1.